CRICKET: The second running of the tournament, which will be held between the 9th and 11th April 2013, is fast approaching. 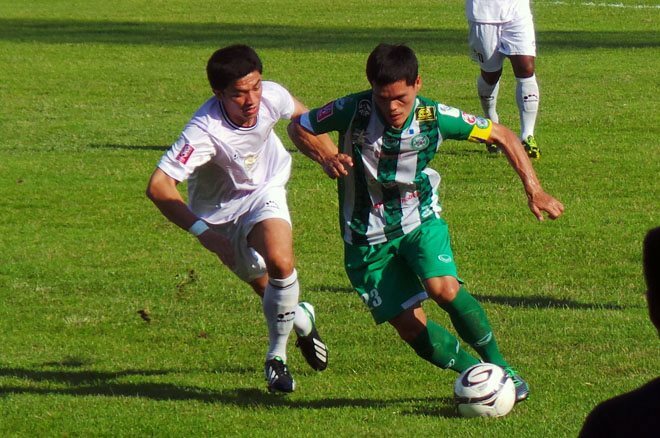 FOOTBALL: Phuket FC defeated Thai Navy team Ratcha Navy FC at Surakul Stadium in Phuket Town tonight, a result that has bolstered their position near the top of the Yamaha League 1 table. 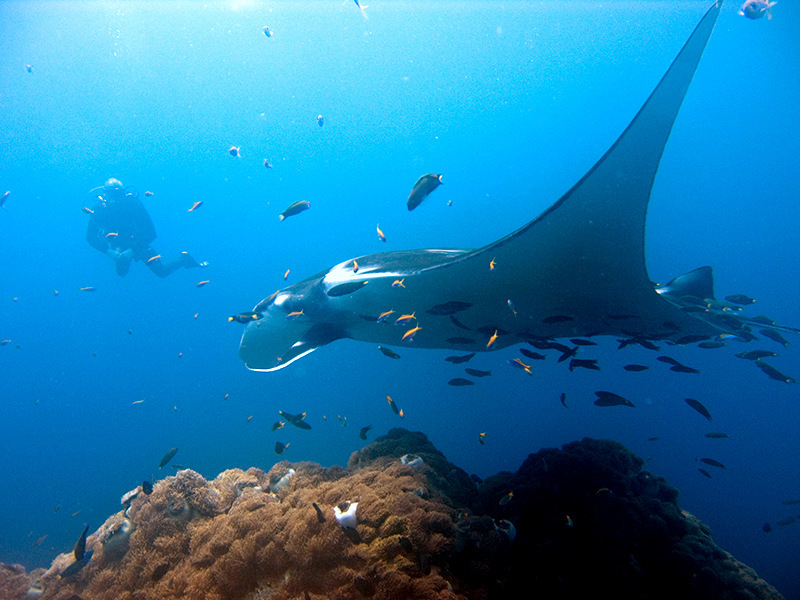 FOOTBALL: Phuket FC will welcome “The Navy” Ratcha Navy FC to the island for a match at Surukal Stadium on Sunday (April 7), before a short break from games over the Songkran holiday. 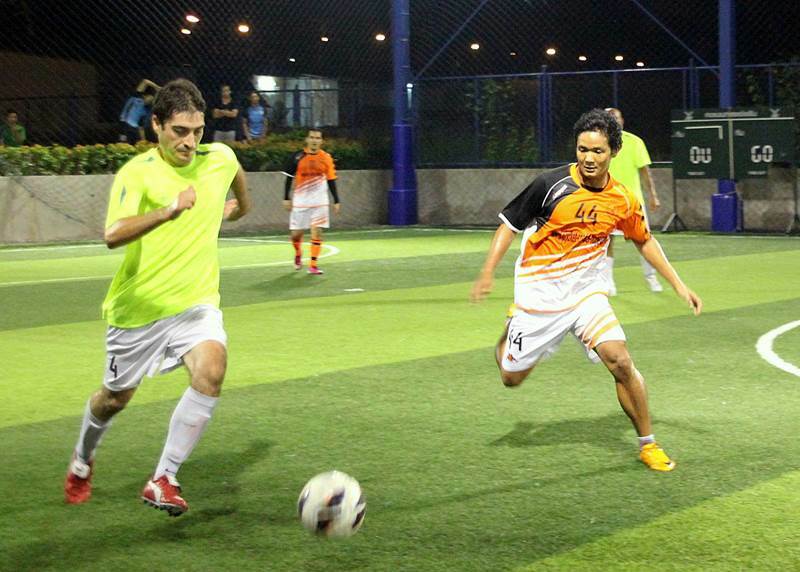 Phuket's Songkran Soccer 7s tournament kicks off April 13. 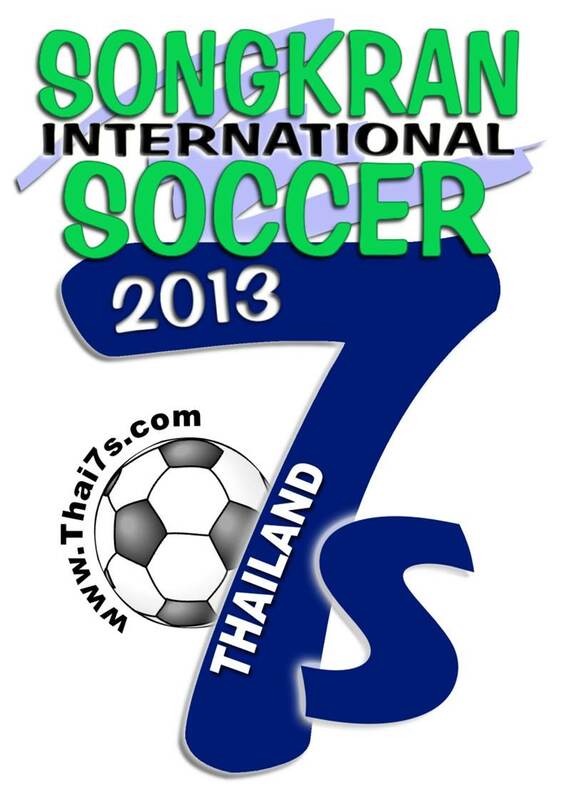 FOOTBALL: The Songkran International Soccer 7s tournament kicks off in Phuket over the Songkran holiday weekend. 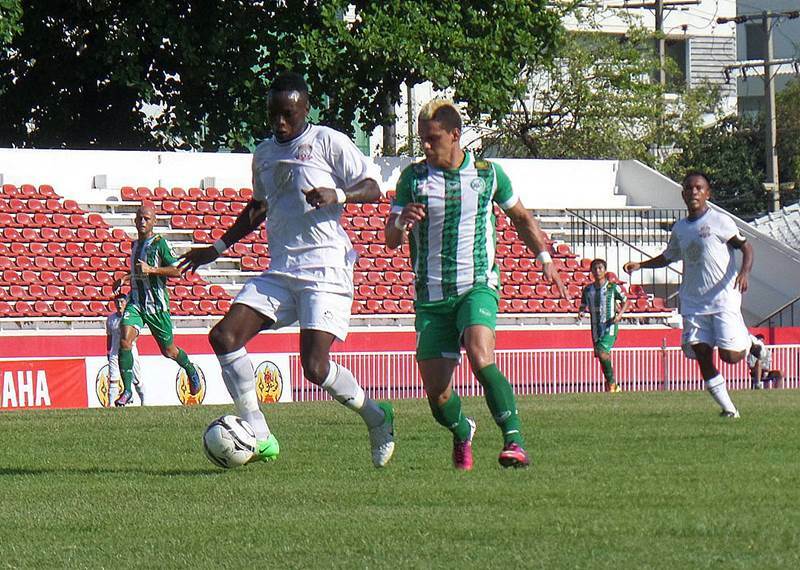 FOOTBALL: A narrow win over TTM FC in Bangkok on Sunday (March 31) sent Phuket FC into second place on the Yamaha League 1 table – one of the coveted automatic promotion berths for next year’s Thai Premier League. 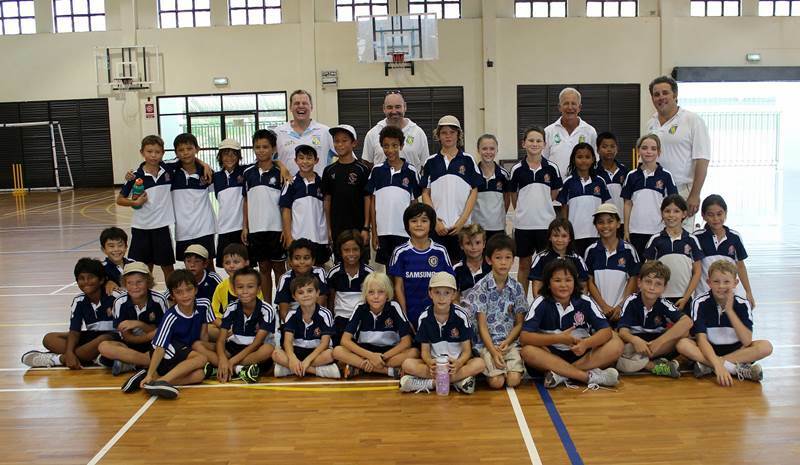 CRICKET: A flying squad of coaches from the Phuket Cricket Group held a “mobile cricket clinic” session at the British International School in Koh Koaew last week. 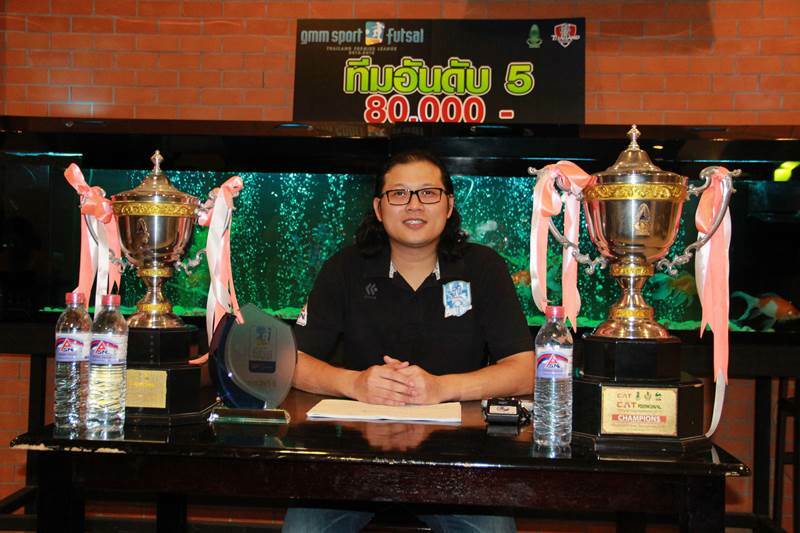 FUTSAL: The president of the Phuket United futsal club, Mr Preechawut “Prap” Keesin, has quit, citing other business interests as the reason. RUGBY UNION: Local youth rugby team Phuket Lomas are on their way to a tri-nations rugby tournament in Singapore this weekend. 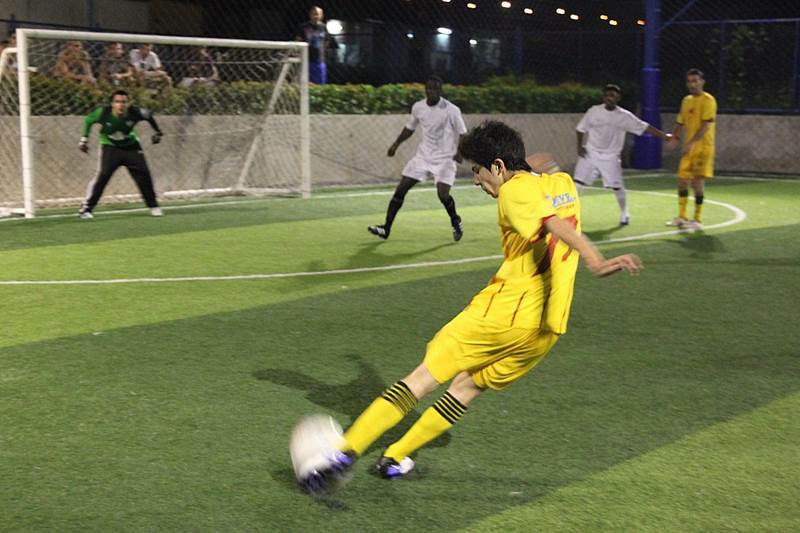 FOOTBALL: There are just two rounds to go in the Phuket Super Six League, and five of the top teams still remain in a close pack on the league table, challenging for the Division 1 title. 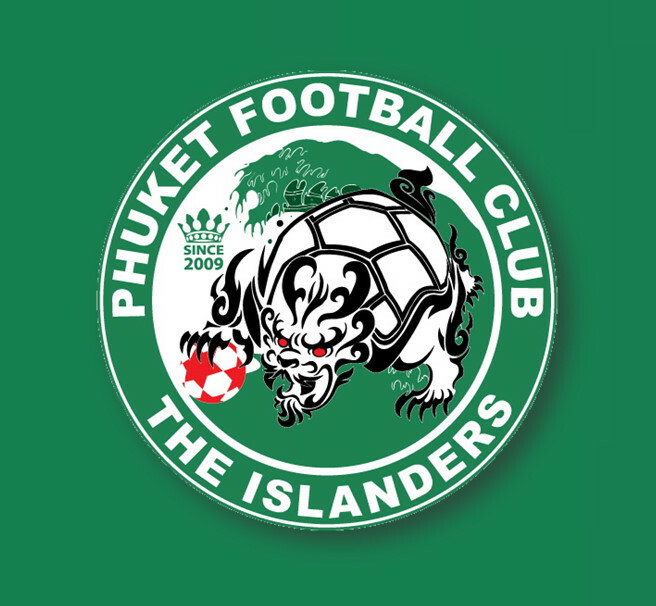 FOOTBALL: Phuket FC's away victory against TTM Lopburi in Bangkok last night (Sunday, March 31) propelled the Islanders to the number two spot in their league division – one of the berths earmarked for promotion into the Thai Premier League. 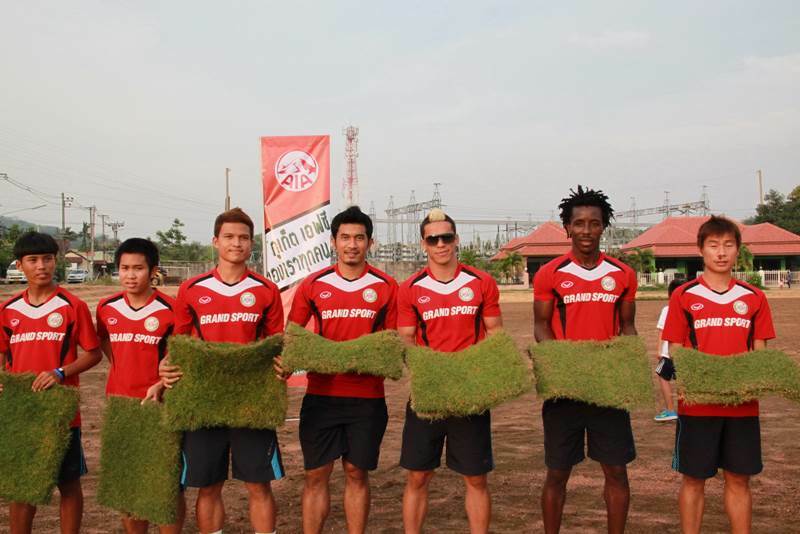 FOOTBALL: Phuket Football Club have held a turf-laying ceremony on the pitch of their new Sports Complex, which is being developed in Chalong. 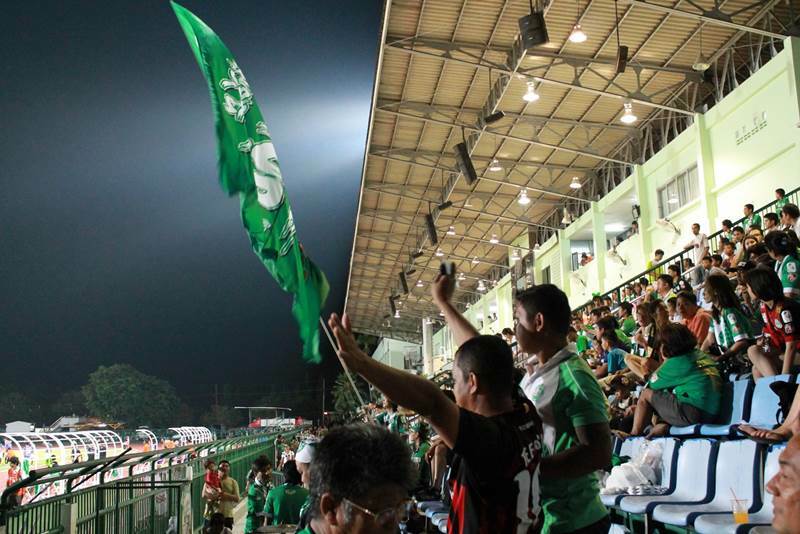 FOOTBALL: An extra-time goal by “Fire Power” PTT Rayong FC at Surakul Stadium on Saturday (March 23) knocked Phuket FC out of the Toyota League Cup competition in an early round. 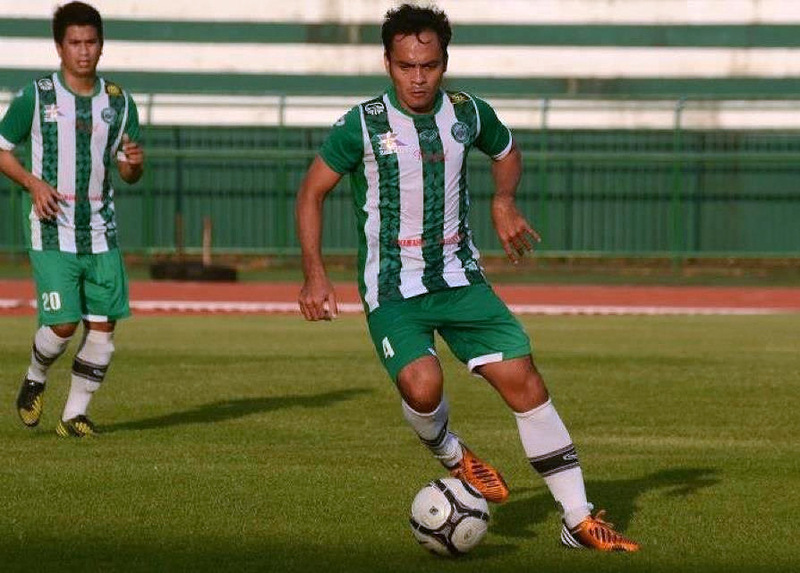 MATCH ANALYSIS: Saturday’s Toyota League Cup game was a tough one for Phuket FC, especially for the Brazilian star Dudu who wasted more than half a dozen opportunities and was devastated by it. 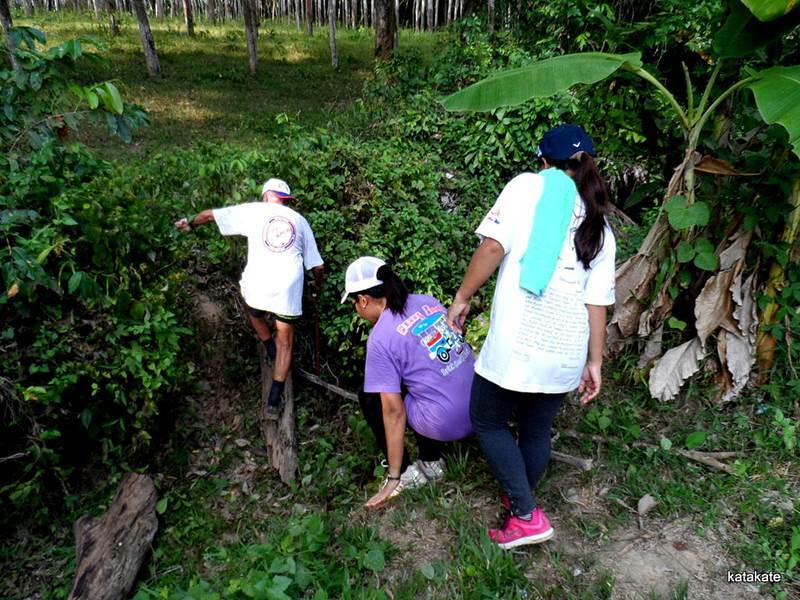 SWIMMING: Some of Asia’s rising swimming stars will take part in the 2013 Thanyapura Long Course Swim Championships this weekend (March 30 and 31) at the Thanyapura Sports and Leisure Club in Thalang. 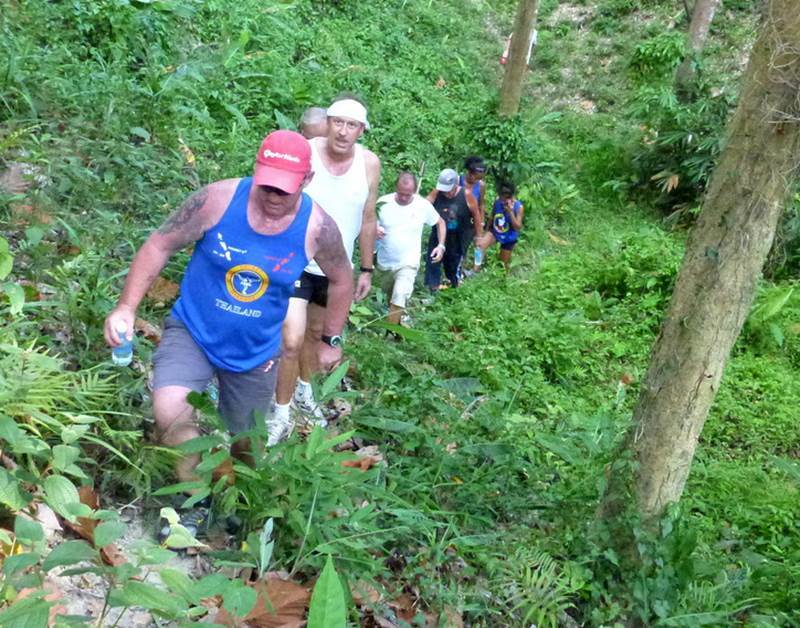 TRAIL RUNNING: Phuket Hash House Harriers Run 1412 4pm on Saturday, March 30. 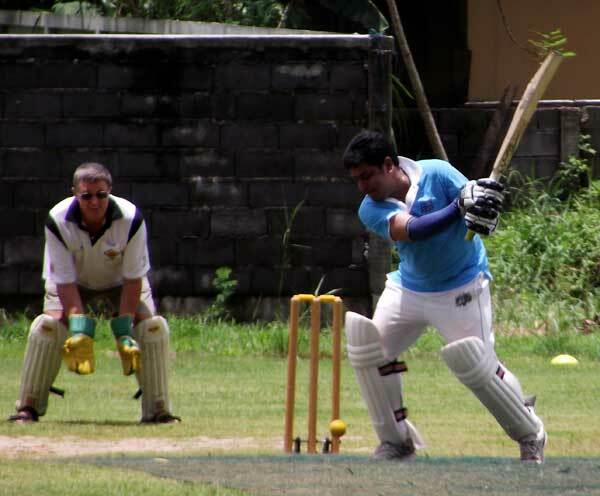 CRICKET: Patong defeated Laguna for the first time in two seasons on Sunday (March 24) and are now almost certain of a finals berth in the Jones Lang LaSalle Hotels cricket league. CAST AWAY: Hello once again my ofishinadoe friends. 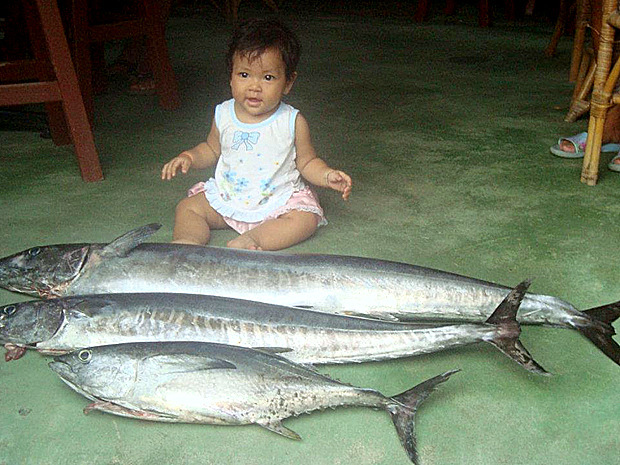 As there has been a dearth of amusing anecdotes recently, and very little happening on the local fishing front apart from Short Fin Tuna (Bonito or Skipjack) and Long Fin Tuna (Albacore), I decided this month’s article would have to be a bit more serious, by necessity. FOOTBALL: With only three rounds to go in the Super Six League, three teams are now within one point of the top of Division 1, while two more teams are three points behind, but with one game in hand. It has all the makings of a thrilling season finale.